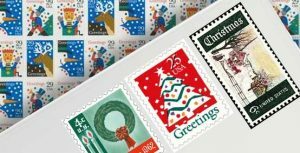 As a long-time stamp collector I have been asked some funny questions over the years such as “does Rite Aid sell stamps?” or “where can I buy stamps?” which has nothing to do with stamp collecting whatsoever. Recently however one of my friends asked if vintage stamps are still valid to send letters which reminded me of something I use to do to make letters a little more personalized. One of the wonderful things about stamp collecting is that anyone can do it. It is a hobby that appeals to a wide range of age groups, nationalities, and personalities. In fact, you would be surprised to learn just how diverse some of the world’s most famous stamp collectors really are. Stamp collecting has been around for a long time. The first known stamp collector is recorded as early as 1774 in Ireland. The concept began to catch on over the next century, spreading through Britain, the United States and the rest of the world. Perhaps it comes as no surprise that China has discovered a fascination with the hobby.